Why TheCrew is the best WordPress Theme for Music Bands? 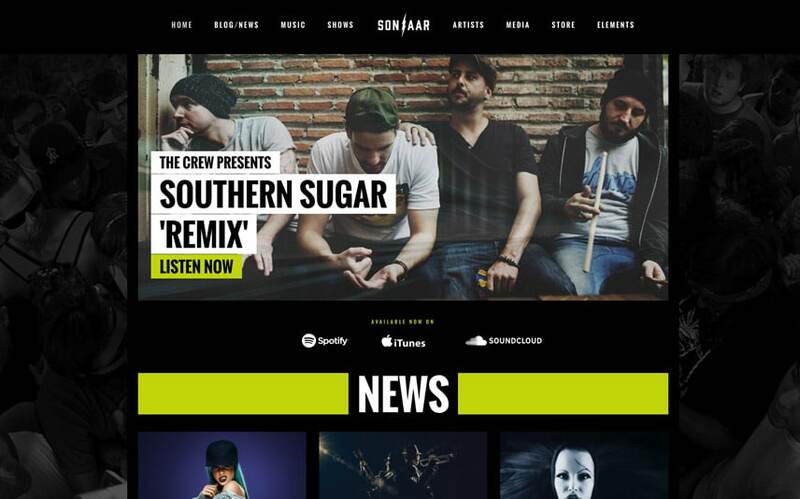 The Crew is a WordPress theme for Music Bands, Music bloggers and everything in between. It’s the perfect template to promote your music band, news, events and albums. The Crew is big and bold. The layout has huge headers and typographies, video backgrounds and parallax images. You can change the template to use your own colour and Google fonts. Everything is built with blocks which means you can add or remove any module on your homepage to suits your music band needs. The design is minimalist but trendy and efficient. By buying this WordPress Theme for Music Bands and Music blogs, you will be ready to rock the scene in no time. 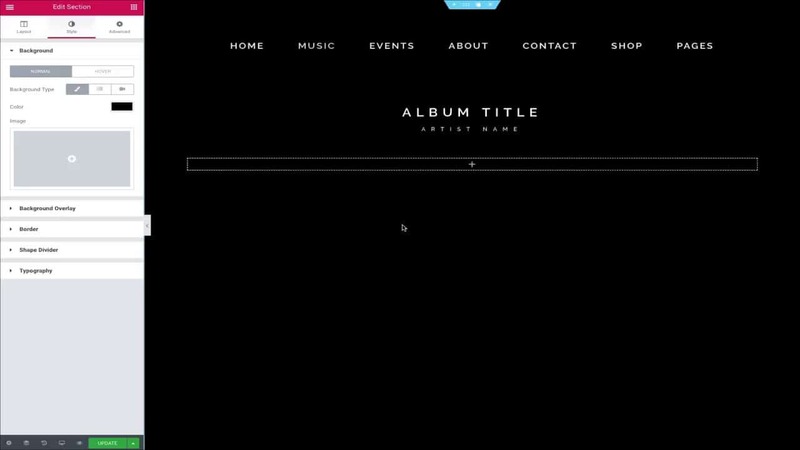 If you are ready to create professional band websites that are very easy-to-use and fully responsive, The Crew is real theme gem. Create stunning slider revolution banners to promote your featured albums with your fans and the music industry. 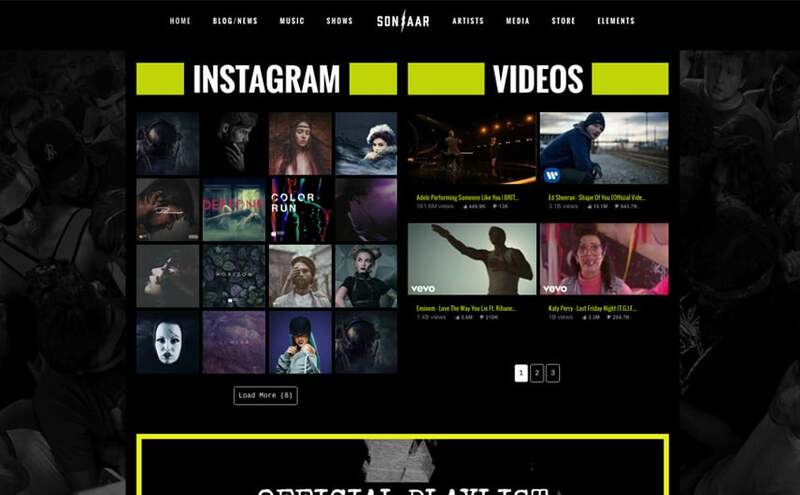 You will be able to embed YouTube or Vimeo music video background and huge photo header to fit in. Your musical website must impresses. It’s why we have included ready-to-use custom widgets and custom post types that every band and musician are looking for. This premium theme has much more features than any free WordPress theme. Just look at the amazing music player that is continuous through all your pages. You can also change all the colours to your own colour scheme and use any Google Fonts that you want. 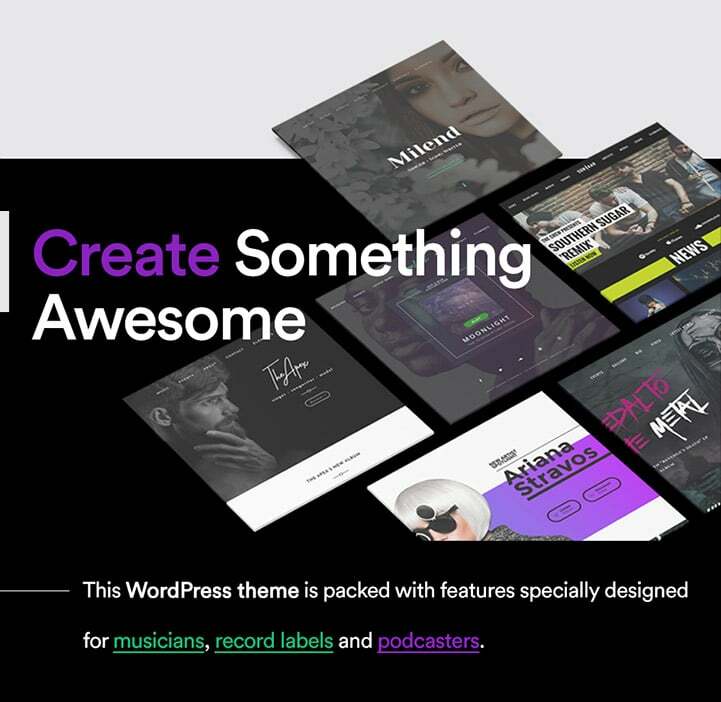 Over 1500 hours of work have been spent to build this wonderful WordPress theme for musicians. It’s compatible with WooCommerce to sell your merchandise directly on your music site. 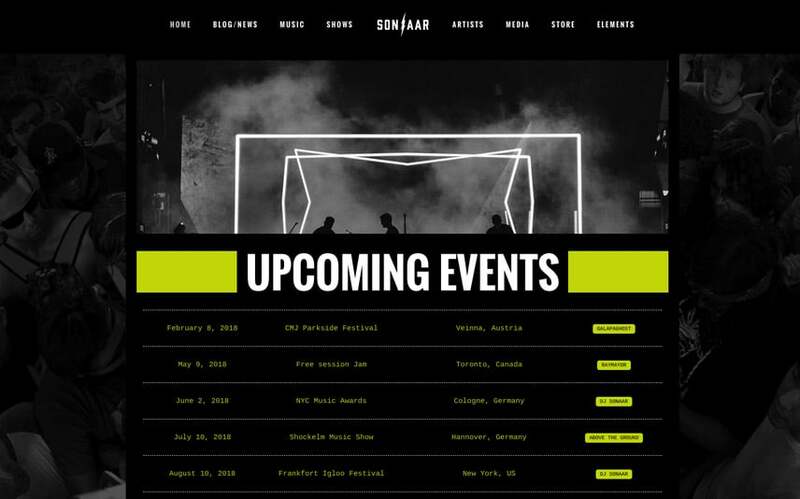 Also, there is a very useful event manager built-in so you can promote your tour dates and finally you can display unlimited social icons to share your music band to the worldwide.